In earlier blog posts we had a look at some tips to stay healthy during pregnancy, nutrients you need to take during pregnancy, toxic chemicals you should avoid during pregnancy & pre-eclampsia, (high blood pressure during pregnancy). 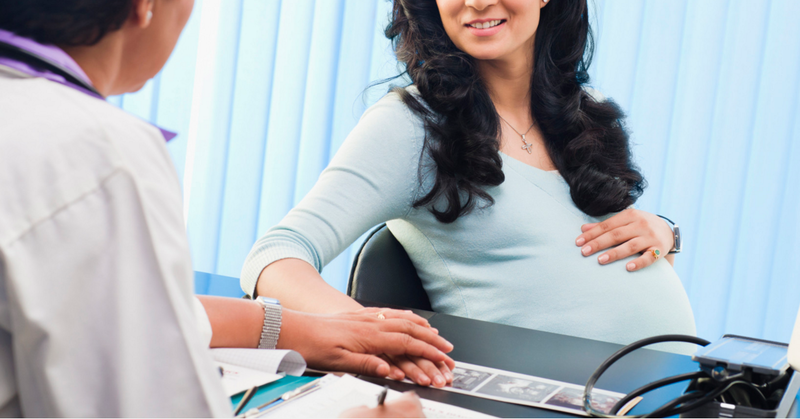 In this post we’ll look at thyroid disorder during pregnancy. Children born to untreated or under-treated mothers have profound effect on future intellectual development. Increased thyroid hormone levels in pregnancy result due to two pregnancy-related hormones—human chorionic gonadotropin (hCG) and estrogen. The thyroid enlarges slightly in healthy women during pregnancy, but not enough to be detected by a physical exam. A noticeably enlarged thyroid can be a sign of thyroid disease and should be evaluated. Thyroid hormone is critical to normal development of the baby’s brain and nervous system. During the first trimester, the foetus depends on the mother’s supply of thyroid hormone, which comes through the placenta. Women with thyroid problems can have a healthy pregnancy and protect their foetuses’ health by learning about pregnancy’s effect on the thyroid, keeping current on their thyroid function testing, and taking the required medications. Pregnant women maintain a balanced diet and take a prenatal multivitamin and mineral supplement containing iodine to receive most nutrients necessary for thyroid health. Choosing iodized salt—salt supplemented with iodine—over plain salt and prenatal vitamins containing iodine will ensure this need is met. It is important for an expecting mother to take appropriate steps to ensure good health for herself & the baby. Platforms such as eKincare can help you by helping you monitor your health and help you monitor your health & be healthy not just during pregnancy but at all stages of your life. This is a great article but thyroid problems aren’t limited to just hypothyroidism. It would be nice to see some attention brought to hyperthyroidism during pregnancy as well 🙂 But overall, really informative article!